This was a care home administered by East Sussex County Council although paradoxically it was in West Sussex. When I was born in 1948 in Southlands Hospital, my parents were Assistant Superintendent and Matron. The home cared for children whose own natural parents were unable for various reasons to care for the children themselves. It was not an orphanage nor a “naughty boys and girls home”. Some of the children were orphaned of one or both parents; most were from homes in which the parents felt unable to cope for many reasons. 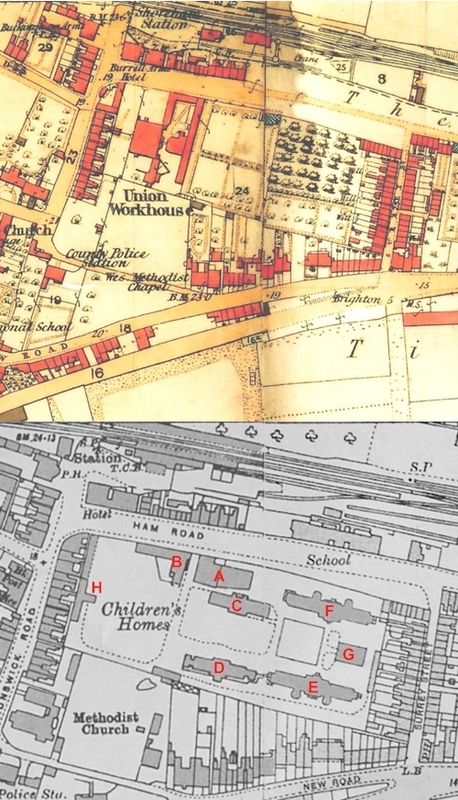 The area St. Wilfrid’s occupied was bounded on the north by Ham Road south as far as the rear of properties in Tarmount Lane and the east end of New Road. The eastern boundary was Surrey Street, then a mixture of residential property and a few shops and the grounds stretched west as far as the rear of the properties on the east side of Brunswick Road. It was surrounded by fairly high knapped flint walls – they seemed enormous to me then. 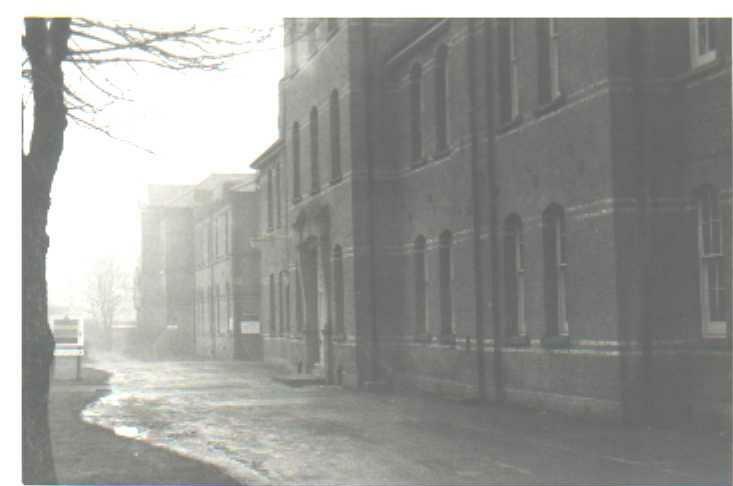 There were seven buildings within this area – the entrance gates in Ham Road led down a drive towards the south, on the left was the Superintendent’s house with the administrative offices reached first and then through an inner door to the living accommodation which then led into the “Stores” through another door. These stores held dry goods, i.e., flour, rice, etc., and other storable foodstuffs and non-perishables. Opposite this building to the right of the entrance was the “Lodge’ which was where my parents and I lived – the Assistant Superintendent and Matron’s house. This also was home to other functions, the “Sewing Room” stores for linen etc., and also some other storage areas. At the rear was a separate small one-room flatlet for single staff to stay if necessary; there was also the “egg-shed” – at one point there was a chicken run and also a few geese to help provide fresh produce for all the residents. reached school leaving age. As school leaving age was statutorily 16 they were then placed in suitable employment and found lodgings or “digs” where they would be able to re-enter the general community as they became adult. The seventh building was the Drill Hall – I believe it had been used for training purposes either during WWII for “drill” and also I remember local Boy Scouts groups meeting in it as well as local Cadet branches. I remember it particularly for the splendid Christmas parties we had in the hall for all the children and staff who live at St. Wilfrid’s Home. 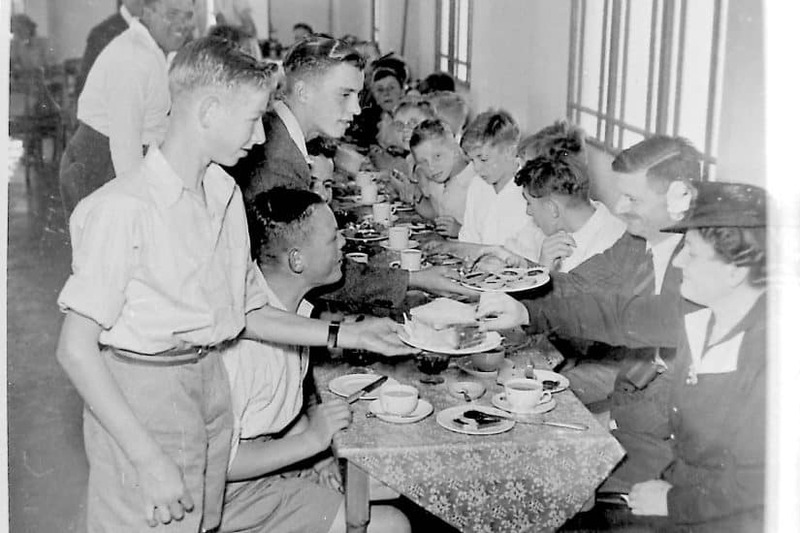 At sometime towards the end of the 1940’s or beginning of the 50’s the wisdom of keeping children in such large institutions was questioned and the decision was made to close them down and rehouse the children in smaller – up to 12 children – houses. At St. Wilf’s each house had “House Parents” either a married couple or, in one case I remember, two single ladies (probably some of the many who never married in the immediate post-war years due to the lack of available men). There were cooks in each house with other staff to help in the kitchens and also domestic staff who were local people who came and went each day. My wife and I were appointed in May 1933 and took over on the 30th June 1933 what were then known as the ‘Steyning Children’s Homes’, a title which was a legacy from the days when the estate was owned and managed by the Steyning West Board of Guardians. The premises standing in approximately three and a half acres consisted of three large red brick blocks (subsequently to be know as’ Mayfield’, ‘Arundel & Bramber’ and ‘Pevensey’ houses), one large cement rendered block (Bodiam & Cissbury), a Receiving Home (Lodge), the Board Room Block (offices and stores), a Chapel of Sussex flint walling with clock in apex of gable (Recreation Hall), a laundry with washing, ironing and drying in separate departments, a carpenter’s shop, painter’s shop, bricklayer’s shop, book store and garages. The Lodge was built about 1845, Bodiam 1864, Mayfield and Arundel & Bramber 1881, the Chapel (with an anonymous gift of £1,000) 1886, and Pevensey 1894. 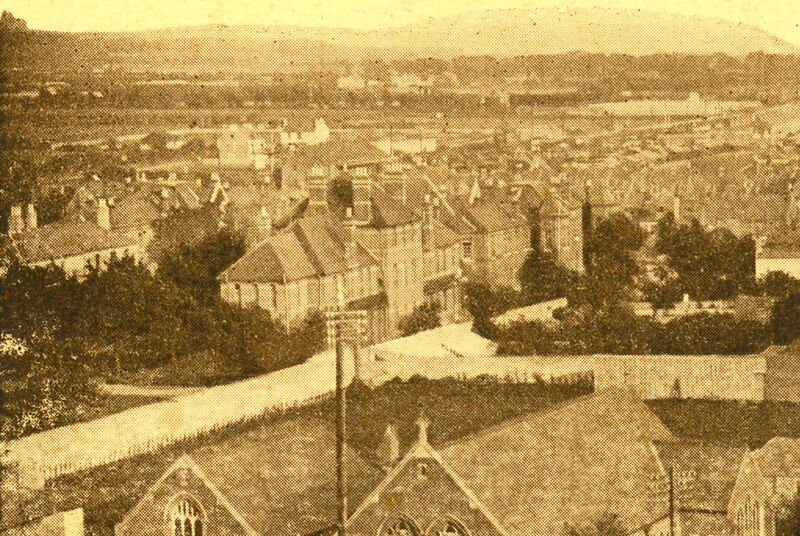 Long before these dates, however, the original Steyning Union (built before the first of the Southlands Hospital old blocks) stood on what is now the playing field. 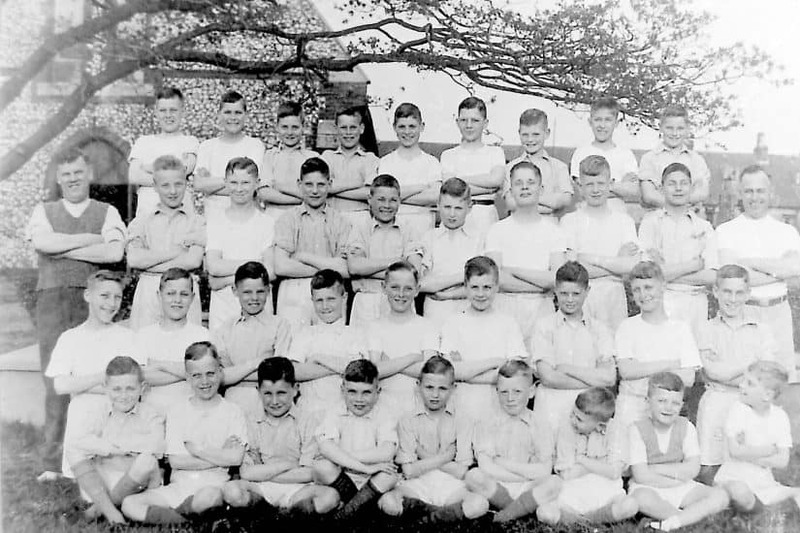 In 1933 the buildings had accommodation for 154 children (including the 12 beds in the Receiving Home) of which 131 were occupied in three units, i.e., boys 8 plus, girls 8 plus and junior mixed 3 to 7. They catered for the welfare of all children who became chargeable to the East Sussex County Council under the Public Assistance Act 1930, 40 beds being permanently occupied by West Sussex similar cases with the exception of small groups of babies and infants in Institutions and Hospitals. The office accommodation was occupied by the Clerk and Deputy Clerk to the West Area Guardians Committee, the Superintendent Registrar, Surveyor to the Worthing District R.D.C., and their various clerical assistants. 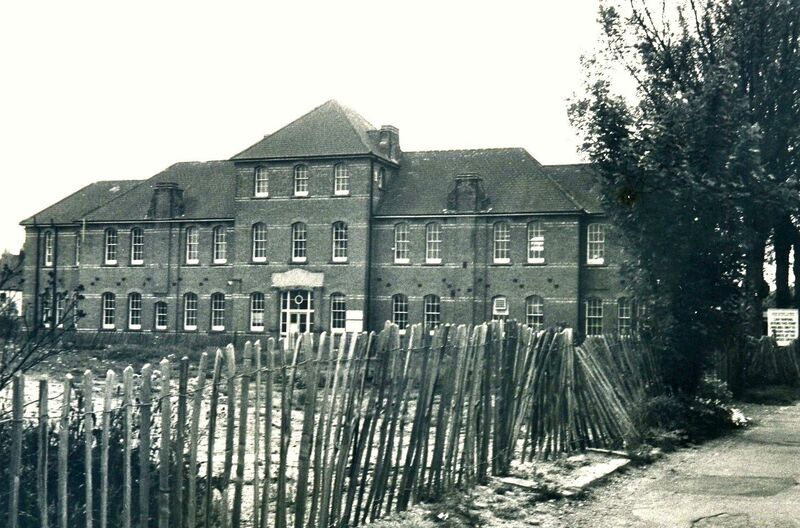 The Superintendent and Matron were housed in that part of the old block, which later became Cissbury, with stores, sewing room etc., in the other part of the same building. House Mothers were paid at the rate of £50 per annum, Reliefs and Cooks £45 p.a., and General Assistants £40 p.a. All being classed as “servants” they were not admissible to the Superannuation Scheme. Laundresses and cleaners were paid 6d an hour. The buildings externally were very austere looking and in many respects rather dilapidated. Roads and paths were covered with loose gravel and badly defined and there was no external lighting. Internally all walls were two-coloured – a reddish pink upper portion with brown lower portion separated with a 2” black band. Most depressing. Furniture and equipment – what there was – was very poor indeed. No chairs for children anywhere – all wood forms. Brown painted deal topped tables with no covers except for meals. No pictures, curtains, ornaments, carpets or rugs. No facilities at all for individual possessions. All lighting was by gas and toilet facilities were totally inadequate. The children were conspicuous by their appearance. 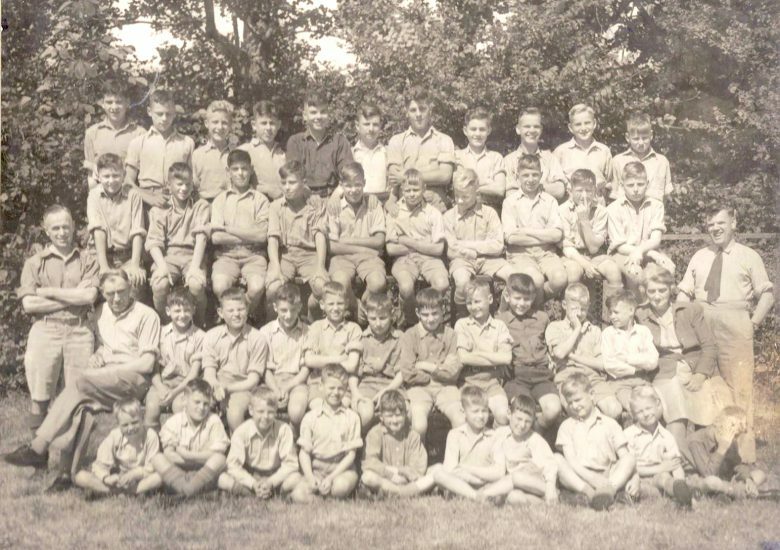 All boys seemed to have corduroy shorts and black boots (no stockings during the summer), very few jackets – mostly jerseys, and close-cropped hair. The girls wore stereotyped dresses and thick black stockings and all had their hair bobbed alike. Neither schools nor churches in the district were at all kindly disposed and most frequently referred to them as “Homes children” or a “Homes child” rather then by name. Future prospects seemed to be restricted to the Army or farm work for boys and to domestic service for girls. It was obvious that much had to be attempted – and that without much appreciable expense – as the County Council were taking steps to acquire land on which to build a group of modern cottage Homes with Receiving House, Nursery, Isolation building, Stores, Administration Unit and Recreation Hall. In spite of some staff opposition – and in the case of some of the older members this was quite formidable – a different atmosphere and outlook were gradually introduced. The resident staff had a tidy uniform provided and as they began to think more of their appearance the children began to be imbued with the same idea, and with a few mirrors provided about the place it was not long before the lads were asking the barber to leave them enough on the top to make a parting. Clothing began to get more varied. Girls were able to come to Matron and try on several coats, choose one that suited them and then go with the house-mother to a shop in the town to get a hat to match. Within a few months no doors were locked other than the doors to staff bedrooms. It was not necessary to wait to be escorted to and from school and Church or for walls. The crocodile of “Homes children” through the town was a thing of the past. 1933 – By Christmas things had really begun to move. A temporary assistant at 4/6d per day and a resident assistant at£10 p.a. had been appointed as it was obvious that the prime cause of all that was not right was too many children for too few staff. The frequent incidence of infection gave cause for grave concern and in those days when an infant not attending school developed chicken-pox, measles, german measles, whooping- cough, scarlet fever, mumps, or other infection, however mild, all the children in the same home were excluded from school. All children below school age were therefore made up into one unit and housed independently of all school age children. Good relations with the M.O. and Matron at Southlands Hospital ensured immediate attention always. 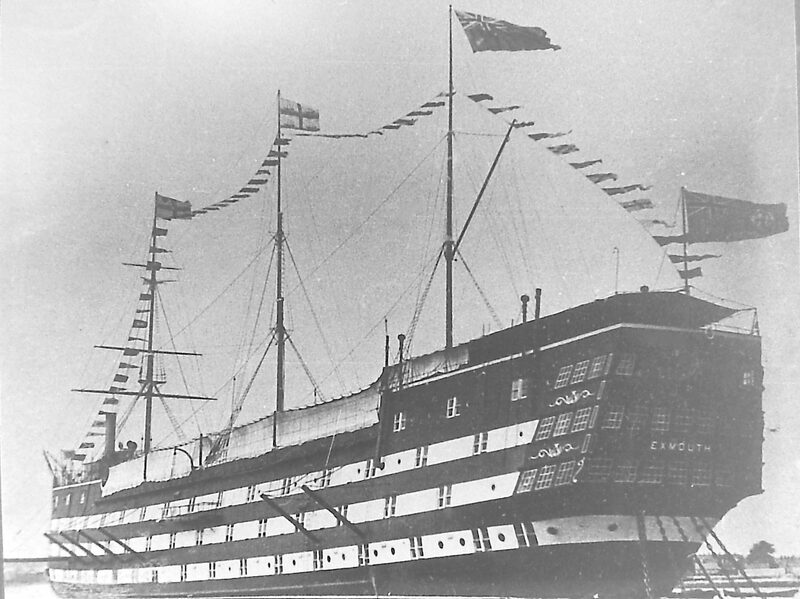 HMS Exmouth a naval training ship that some St.Wlifrids boys attended. 1934 – A piano bought for £5, and £10 spent on repairing a motley assortment of band instruments, began the nucleus of a musical interest. – meat safes were provided for each home. -approval was obtained for the suggestion that the Hospital Maintenance Staff should have some assistance with building repairs in an effort to catch up with arrears. -smaller baths and larger hot water tanks were provided to cut out the idea of many children to one lot of hot water. -bare floors in two kitchens and three sculleries were covered with a cheerful patterned lino. -three-tier steamers for all gas cookers and scales for all kitchens were provided. -the first full-scale pantomime was produced at Christmas. -drinking water taps were provided. -social evenings and a dancing class each Tuesday for older boys and girls and their friends from private homes. 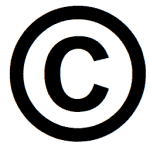 -further course of mother craft lecturers. -nearly half the beds by now had a cheerful coloured bedspread. -formed depot for issue of rations to London evacuees who arrived at the rate of 1,000 per hour for three days – medical services, toilets etc., arranged. -trenches dug on playing field, all ground floor windows sandbagged. -scheme formed for clothing, pocket money, shoe repairs, etc., to be dealt with by staff from Shoreham who were resident in the Reception Areas. W.V.S. called on to assist. -the youngest children were taken to Oldcastle, Home 1 kept on as a Reception Unit and resident caretakers installed in the Lodge. -the Superintendent and Matron lived at Oldcastle, this being one of the conditions under which the premises were offered to the County Council. -Home No.3 was taken over for infirm patients transferred from Southlands Hospital and the Royal Navy took over Home No.2. -transport becoming increasingly difficult a trailer was provided for towing by the Superintendent’s car for the distribution of stores etc., to the various units. An additional emergency food store was established at the cottage at Dallington. 1942 – Frequent journeys were made to the Reception Areas by the Superintendent or Matron. 1943 – Four boys from the Reception Area who were over school age were accepted at the Agricultural Training College, Plumpton, for farm training – bicycles provided. -all fire hoses were renewed at the request of the Ministry of Health. 1944 – The Reception Unit at Shoreham was evacuated to Oldcastle on D-Day. Flying bomb on Oldcastle – Higham House, Salehurst, taken over but abandoned without being occupied because of enemy action. -Graffham Court and Bepton Grange taken over and occupied and later evacuated. -altogether SIX major removals of children, staff, furniture and equipment within SIX months. -Ministry of Health refused permission to remove blast walls at Shoreham. 1945 – Return of children from Reception Areas – 23 left behind and arrangements made for boarding out allowances to be paid by West Riding C.C. and for the Ministry of Labour to supervise those in situations. -Shoreham U.D.C given notice to quit Mayfield. -Enquiry to Ministry regarding building of new Homes – reply “priority doubtful” till housing needs are met (understood verbally that this was expected to be about 10 years). -Make the best of it for another while – remove “Children’s Homes” sign – Homes given names in lieu of numbers and St. Wilfrid’s suggested as future designation of premises. -all clothing sent to private laundry. 1946 – Children’s Care sub-Committee set up – first chairman the late Miss J.M.S. Mathews. -request from C.T.C.C.C. for resident students to be taken (4 in first year). -Children’s Officer appointed – first Residential Homes Sub-Committee meeting July. -Home Office suggestions for improvements received. 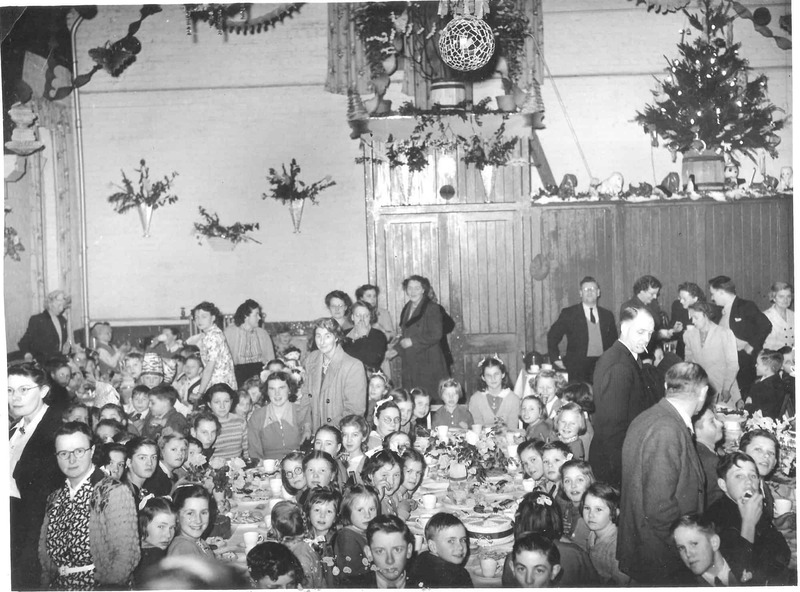 Christmas party in the Drill Hall that stood at the eastern end of the Home backing on to the rear gardens of the houses in Surry Street. At the far end of the first photo is the matron, Mrs Smith – wife of Alfred Smith the Superintendant and author of the 1933 – 1953 history of the Home, and to the right with cigarette is Ted Clarke, Deputy Superintendant. Likely to have been before 1952 as all the girls had left by then. 1952 – The girls and staff from Pevensey House were transferred to Hassocks in April. This event marked the beginning of the gradual closure of the group of buildings which for almost a century have played their part in the history of the County as a home for many to whom any other home was denied. Some have spent a few years here, many came as toddlers and left as young men and women. Some have returned to spend holidays here – others have brought their wives or husbands and children to visit, while others have married through associations formed while here. Those whom we have seen or from we have heard in recent months include a schoolmaster, registrar, solicitor, army bandmaster, sectional building contractor, miner, merchant, seaman, shot-blaster, multiple shoe shop manager, coachbuilder, lorry driver, ship’s steward, concrete erector, market gardener, chemist’s assistant, member of W.R.N.S., kennel maid, hairdresser, nurse and butcher. Since the present Superintendent took over (apparently only the fourth to have held the office) there have been 3,048 admissions and by the time the last of the boys have left there will have been 3,104 discharges, while 202 boys and girls have been placed out in situations. Photos of St Wilfrid’s children and staff are included by courtesy of Maureen Hooper, Parish of Kingston Buci. I am trying to contact Patricia Clarke who wrote the article re St Wilfrid’s Children’s Home. My father Clifford Wright was a great friend of Ted Clarke, Patricia’s father, when Ted lived in Sheffield before the Second World War. I have letters that Ted sent to my family at the beginning of the War and during his time as a prisoner of war. I also have a book about the prisoner of war camp he was held captive. I would like to pass these on to Patricia but I have no contact details for her. If it is possible to pass this message on to her could you please ask her to email me at the address below. Thanks. Do you have any records that could be viewed of the boys and girls who lived there ?